The Life of David Hernandez Zapata (Cartagena, 22 January 1975) has been Soaked in wine from his Childhood, when his grandfather was absorbed the stories as a Trader and an expression that is engraved: "wine is Health. Thirty years later, David is considered as the best supplier of Wine of China. 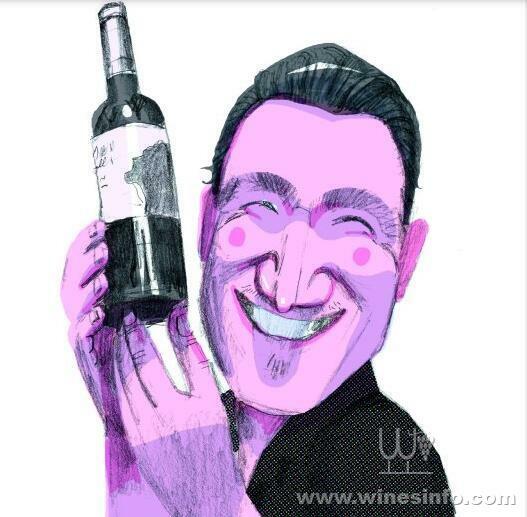 His interest for the wine sector comes from two previous Generations dedicated to the production of Wine. Since 1918, his family has been dedicated to this business that, today, took the Life of David. "I want and I have the responsibility to continue with the Third Generation, he says. Behind the gleaming Smile hides an extrovert, Curious and, above all, Entrepreneur. Favoritism is not what David does best, because, in spite of know the business inside and out, does not favor any particular Wine. Even so, their preferences are in the Monastrell Grape. Each wine is a perfect occasion for this Optional and there is nothing better than taking a White Wine with a Good Fish in the sea. What He likes most about his work is to develop the actions of Marketing and Advertising. Although it is not specialised in these branches, has been the life that trained him as an Entrepreneur. In addition, it is the best way, because David uses the words of his grandfather to negotiate with its product in China. The most difficult decisions are the ones that led him to the road of success. Just five years ago, David took the Reins of the business to be transferred to the Asian country with the largest population, China. Changed their fate to publicize their wine to a very different Government murciano. The Carthaginian believes that the problem of Marketing of Wine of the region is due to the lack of confidence in the product itself. "Both the Consumer and the Producer should Open a little more Mind", he says. Almost Nine Thousand kilometers away, started a New Life that you took so much effort to adapt. The sommelier, China is the biggest challenge of his career because the country tests your ability permanently. Just Plant your feet in the Asian Territory, began marketing its brand Wine 'david' in a very simple way. 'we couldn't Choose routes that require many resources, so I rented spaces in hotels to promote their Wine. Gradually Rising as the Foam. Five years later, not only won the award "Entrepreneur of the Year ', but was awarded the Golden Horse Award of China Hotel', the Oscar of the traders. The 'flashes', the cameras and the action stopped their Five Senses in the ceremony of the Prize. Slowed the nerves which could have been a beautiful Dedication to his family and to all expats, but Direct failures He played a Trick. Until a few hours later he received the Prize, David became aware of what was really happening. "The Awards stimulate you, help you, Motivate you. Never thought that it would be worth your effort to an advanced level. Feel Lucky to do what you really like and to be the first Westerner to receive such an award. The top is not attained for this Entrepreneur will continue working hard for the wine jumillano remains the best position and the recognition that it deserves. Although the decision to move to China has given you the greatest satisfaction of Professional Life, Daily remember with longing to its unmistakable Murcia. "Never Forget our raíces? declares. Feel The Blue Sky, enjoy the Sun And The clarity of the Murcian regional Gastronomy is priceless for David, which remains for several months in a Row, under the slenderness of the Sky Guangzhou (China), due to the High contamination. Although in Spain in 'Nowhere', his stay in another country to go forward in Life, learn in Business and, above all, Enrich as a person.